Can’t get enough of sparkling up any colour with the born pretty glitter! 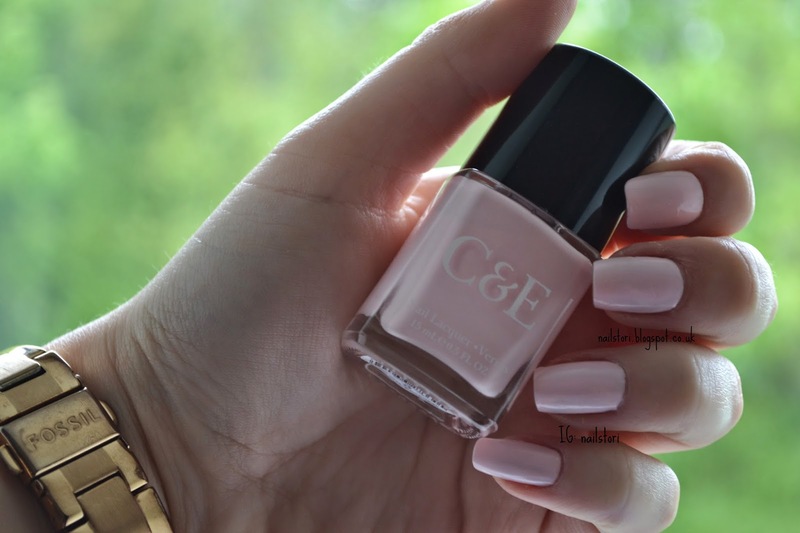 Today I went for my new Crabtree & Evelyn polish – it is called Peony/Rose Delicat. And of course I love it … It is a pale pink. I could wear pale pinks and whites everyday, always a safe option taking into account unprepared outfit days! I started off the day with just the polish on. Then I had a lecture break so obviously spent my time adding glitter. Can I just mention, I finished my first year of uni today… which means… more mani time! Anyway, I saw this design online ages ago and whoever had done it, had done it well! It’s hard to get look right. I’m not completely loving my version. My nail shape is a little crazy recently maybe that contributes? Or it just did a bad job! I think I will be using this glitter again very soon. Sorry for lack of posts – assignments due, exam season and all that!